Please help the AGL Podcast get to the top! 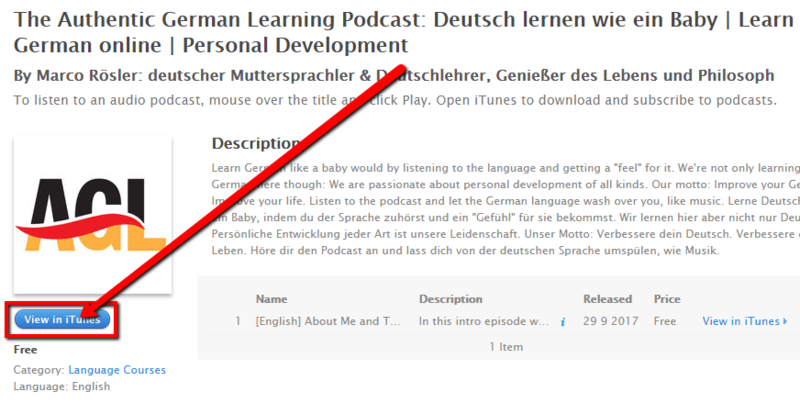 Thank you for your interest in providing a review and a rating for the Authentic German Learning Podcast! It means a lot to me, because through rating and reviews more people will be able to find the podcast. The bigger our community, the better for everyone! The steps required may seem a bit complicated, but it is actually quite simple. I’d be very happy if you could invest 3 minutes into the building of the community by rating and reviewing the Authentic German Learning Podcast. Which device do you want to use? Anyone who wants to give a rating needs an Apple ID. When registering, you usually need to provide payment information. I’ll show you how to skip this with a trick. 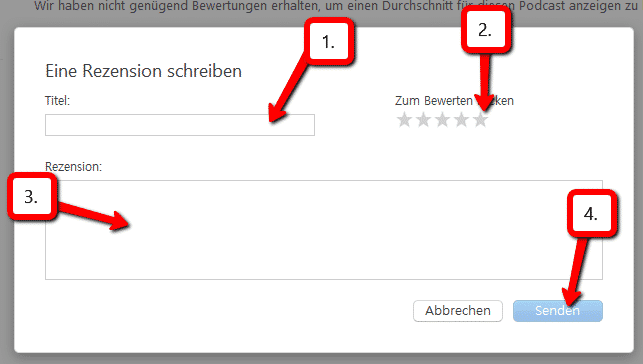 In short, if you are not logged in to iTunes and you want to download a free app, you have the option to sign up without specifying payment information. Learn more. Tap the album art for the podcast (the big one under Podcasts). Scroll down until you see Ratings & Reviews. Tap the star on the right to give 5 stars. Scroll a little bit further and click on Write a Review. Give your review a title and write your review below. Install iTunes if you haven’t done so yet. If you don’t have an Apple ID yet, then please register. Here is a useful trick. 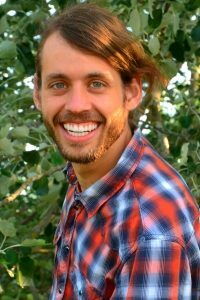 Click on this link to view the iTunes page of the podcast. Enter Authentic German Learning into the search field top right. Click on the logo of Authentic German Learning. If you don’t see it, make sure that the icon for podcasts is selected in the choices in the upper left corner. Click in iTunes on “Ratings and Reviews”. Click on “Write a Review”. Click on the star at the right, if you want to give 5 stars. Please try to rate my podcast on the podcast app you are using. I haven’t figured it out yet. If you have any information on that, please tell me! If you have questions, you can ask them in the comments. This is definitely THE BEST podcast for learning German. I’m now at A2 trying to make a step to B1 and start speaking and was having troubles fining a proper material; there is lots of resources on the internet but they are either too advanced and I can not understand them or they are for beginners and do not help. This is exactly what I’ve been looking for and is helping me immensaly! MUCH THANKS FROM BERLIN! MILOS. I’m very glad the podcast is helping you so much!